If southern California is a person, Cody Lovaas is as close to that ideal as we can get. 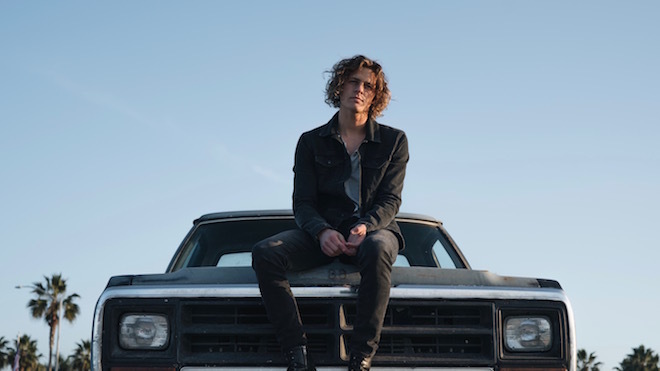 The young and rising singer-songwriter is sharing “Prove It”, along with some video, which drives that point home – a long-haired dude with his guitar, chilling in his truck on the beach at sunset. The California stereotype paints us as laid back and wayward, but he’s not playing that game today. Cody is breaking that mold with a strict dedication to disciplined strings and even tighter lyricism that when combined, treats us to polished simplicity that gives much more than it asks. If you hold your headphones like seashells to your ears, you might even hear electro remix potential. Sometimes these sounds just translate so well. Listen below and download here.